Home » SEO » Do AdWords and AdSense Affect SEO Rankings? Every business at some point will want to advertise. You may shun it now — preferring other alternatives like blogging, online networking, or even simple word-of-mouth — but ads are still effective in grabbing an audience’s attention today. Super Bowl ads, for example, increased the chances of a person buying a product or service by 6.6 percent. Not bad for a few seconds. You have plenty of options when it comes to advertising: from TV ads to billboard displays. However, one thing you should really invest in is online advertising – starting with AdWords. Additionally for those Publishers who wanted for a share of profit they can partner with Google’s Adsense to help spread relevant ads. To put it simply: Adwords serves up the ads for the advertiser (that’s you! ), while AdSense distributes the ads to relevant places on the Web or placed by publisher on his niche blog and etc. Back in ancient times, marketers hardly had a choice if they wanted to promote their products or services. Traditional options such as TV, radio, print, or display advertising are often too expensive. Thus, smaller businesses had to rely on positive reviews and word-of-mouth while they scrape enough funds for real publicity. Adwords and AdSense by Google have become complementary parts of Google’s advertising program. AdWords is a program designed FOR BUSINESSES or called as Advertisers so they can create and control their own ads. These are displayed on Google search results (SERP), partner websites with AdSense, or the Google Display network. You can opt to pay based on per thousand impressions on your ad (known as CPM) OR per click (more commonly called CPC). A popular misconception with AdWords is that your ad will appear #1 on search results. That’s NOT true. Google displays ads based on its relevance to a user’s query. In the above example, we typed in ‘SEO Expert’ and got ads related to our search. These appeared at the top and the bottom. AdWords is great if you want to focus on local SEO or boost brand awareness in your locality. AdSense, on the other hand, is FOR PUBLISHERS (site owners, bloggers, etc.) who want to make money from their content. They must first signup and submit their website to Google for approval. After which they will receive a code to display related ads. They earn a percentage of what the advertiser pays to Google each time someone clicks an ad on their website. If you’re new to AdSense, please take the time to review their guidelines and best practices. While Google encourages maximum exposure and suggests you put one ad above the fold, they highly advise against misleading users. Avoid deceptive labels, or mimicking your site’s formatting so it doesn’t look like ads. Ads are ads and should stay that way. In fact, they should be labeled as Advertisements or Sponsored Links so as to avoid confusion. While it’s not prohibited, it can be a bad thing if used for the wrong reasons. For example: say you have a digital marketing blog that offers news, tips, and commentary about everything related to search and online branding. However, you’re not getting much money despite running AdSense. So you decide to use AdWords to drive more traffic to your site. Bad move. Google employs stricter rules when it comes to people who want to manipulate their system. In general, putting AdSense on your landing page is NOT allowed. Also, aggressively placing ads or using irrelevant keywords in AdWords can get you banned. Instead of contemplating how to use both together, focus your efforts on how to maximize one service to reach your goal. I have AdSense and AdWords. Do I Still Need SEO? Here’s the thing: even if you are already running AdWords or AdSense, you should still perform search engine optimization strategies to cater to organic rankings. Why? People choose organic results 95 percent of the time than ads. If you’re not on the first page of Google (or other search engines), don’t expect to get as much traffic or clicks. If you currently have an SEO campaign but want to start an AdWords or AdSense project, go ahead. It will NOT affect your organic rankings whatsoever. In a digital marketing sense, these two campaigns are actually different. So if you run both, you’ll need to measure two progress reports and look at two varied results. The guys at Media Two Interactive conducted an experiment on this theory and came up with a pretty interesting outcome. During the first 8 weeks, they implemented an AdWords only campaign. On the following 8 weeks, they turned to SEO. After 16 weeks, they found out that their target site still received a positive amount of traffic – even when the AdWords campaign was turned off. Why is that? SEO tactics help us reach out to specific audiences through relevant keywords, content, and customized social media interaction. Google’s system recognizes this as a smart targeting approach and rewards websites accordingly. Important Note! Just because you’re an AdWords customer doesn’t mean you’ll get preferential treatment (see Matt Cutt’s video below)! What about Adsense? Won’t Google prefer your website because technically, you’re a partner and you’re helping them generate more income? On the contrary, bad AdSense practices can lower your rankings. For example: if you’re running AdSense on your pages and you basically filled them with ads, there’s a good chance you won’t rank as high because users won’t engage with your content. No one likes ‘in-your-face’ promotion – and search engines know this. Stick with the proper AdSense guidelines and continue ethical SEO efforts to reap optimum results. If you happen to get suspended or banned, don’t despair. As mentioned, AdSense campaigns are treated separately from SEO; so you will still rank regardless of what happens to your account. That would depend on your business goal. Are you aiming to boost brand awareness or to get more sales? Digital marketing experts (myself included) recommend utilizing both PPC and SEO campaigns. However, there are instances when either one would work better. For example: if you’re a start-up, you may want to go into PPC first to increase awareness for your brand. PPC can reach more audiences in a day (when done right) because ads are placed on relevant places on the Web. On the other hand, if you’re aiming for long-term results, it’s best to switch to SEO. Search engine optimization combines links, social media, content, and mobile experience to help websites rank on SERP. Over time – even after the campaign is over – you will see that all efforts are paying well in terms of traffic. Let’s take a look at the advantages of using SEO or PPC. SEO growth is slower than paid ads. Sometimes, your chosen strategy can be a shoot to the moon. In many cases, results are not guaranteed. But why do businesses still need SEO in their business? Let’s take a look at these reasons. Using targeted keywords or commercial search terms and queries, your brand can increase visibility on SERPs. Optimizing the right keywords can put your brand on the first page of search results, thus, increasing brand awareness and puts your brand as an authoritative choice on a certain field. With more than 90% of people choosing organic results over paid ads, it is safe to say that searchers trust brands more when they are seen or discovered organically. While users tend to avoid ads, they are likely to trust brands with high organic rankings. You can increase your brand’s credibility and trust if you can make your business visible in SERP top organic rankings. As you put your business in front of consumers every time they search online, you become more relevant and you increase brand awareness. It is in this process, that you will gain increasing traffic, a boost in CTR and improve your ROI. Literally, there are countless search queries consumers may use every day. You can expand your reach to different kinds of consumers by optimizing a number of competitive keywords to build a strong organic visibility. Organic campaigns are here to stay. Once you have established a strong standpoint, continuous and sustainable organic efforts can put you there for a long time. Your paid ads position, however, can easily disappear once your entire budget has been consumed. While consumer’s trust and traffic go to SEO, you may ask, why do you still have to try paid ads? Well, here are some things which PPC can do better than SEO. Let’s face it. Ads get a more noticeable position in SERPs. Consumers can easily see and notice paid search ads in results page as they are strategically placed where consumers can easily see them. If you want to target the right people using the right marketing message, PPC can help you do that. Paid ads can be controlled and manipulated based on the criteria you set for your audience. You can target consumers based on search terms, location, language, device, time and previous visits. How do you want your business to be presented to online searchers? With paid ads, you have a control on how you deliver marketing content. You can choose whether you want to place a location, contact numbers, pricing, links, etc in your ads. These can give you a better chance to capture the attention of consumers and provide them with what they are looking for. Visuals are important for online retailers. E-commerce sites can place product ads with visual images so users can have a glimpse of the products they might be interested in. This can boost click-through-rates of businesses since visuals are more appealing to consumers. PPC is great if you want to know which among your strategies work best for a certain type of audience. You can easily split and test ads to figure out which has the best response which can be used in organic campaigns. Moreover, data gathering is more in-depth with paid ads. Using Google Analytics, you can read and analyze data from keyword conversions, percentage, and cost. If you’re not sure whether to use SEO, PPC, or both, don’t hesitate to ask a professional consultant. How Can I Leverage Both? Although these services DO NOT directly affect your organic rankings doesn’t mean you shouldn’t give them the time of day. You could opt to launch either an AdWords campaign to complement your SEO efforts. It’s your choice. Phil Frost from Main Street ROI suggests running AdWords before starting SEO so you’ll know which keywords would be profitable. Aaron Wall from SEO Book, on the other hand, recommends integrating on- and offline marketing techniques to get the most bang for your buck. Big brands such as GoDaddy and Budweiser have been doing this year in and year out as they compete for attention during Super Bowl ads. Whether you will use AdWords or AdSense, bear in mind that it all boils down to WHAT you want to achieve online and remember it does not affect your online rankings, therefore use it accordingly. The reason why most businesses fail is that they were not clear about their goals. Write them down, be specific, and talk to a professional about your plans (when necessary). 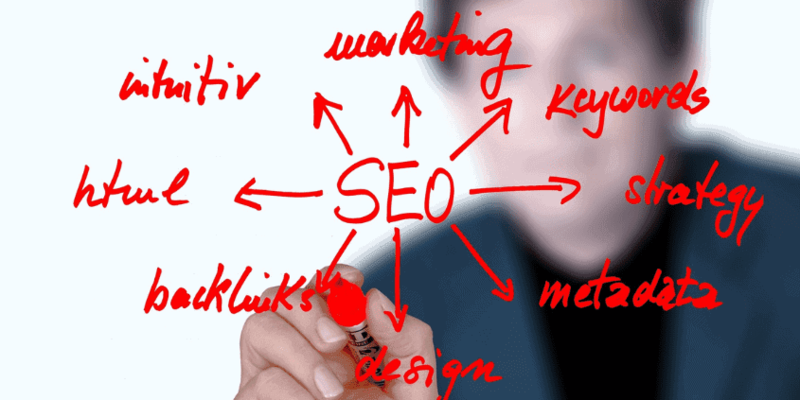 Many SEO services these days offer free consultations, so do take advantage of that. We want to hear from you! Are you implementing AdWords or AdSense into your SEO campaign? If so, how are your results? Let’s talk more on Twitter, Facebook, or Google+! Hi, I do think this is a great blog. I stumbledupon it 😉 I will come back yet again since i have book marked it. Hi, I want to say one thing seriously. Adwords will negatively affect on SERP rankings. Because Adwords links are nofollow and reduction of traffic from SERPs during campaigns. Its practically proven for me. Do you agree? Adwords will NOT affect SERP results because it’s a different kind of online marketing. It’s categorized under PAID traffic, which Google treats differently. People can choose to click your Adwords ads or not – based on their relevance and quality. SEO on the other hand, is purely organic and relies on quality content and technical strategies in order to make a website rank. If you see a reduction in traffic after starting an Adwords campaign, you can check on-site elements as well as your ads. Try A/B testing to see which elements might be affecting the click-through rate of your campaign. AdWords will definitely have an effect on SEO rankings, if applied intelligently. The thing is that you can use AdWords to signal Google that users searching with certain keywords love your content. If visitors that are finding your content via the queries in question exhibit a high dwell time and other seemingly ‘satisfied’ behavior, Google will judge your content to be relevant to the queries – and you’ll rise in SERP. 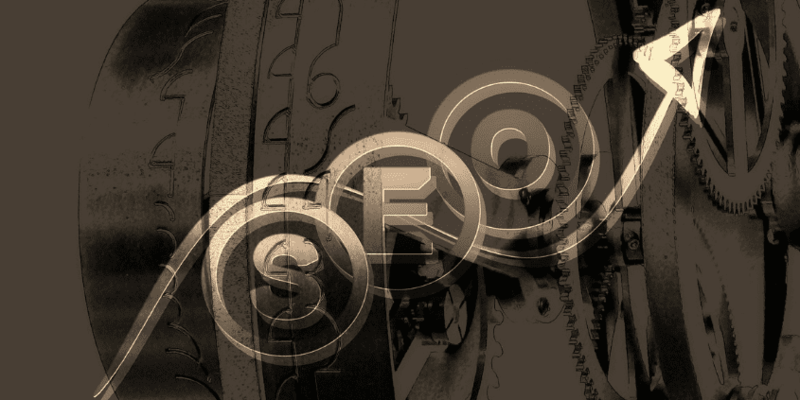 Your “Do AdWords and AdSense Affect SEO Rankings?” is a great article you have written. I hope this type of article will be beneficial to the people who have did not any idea about Google AdWords and SEO work and how Google Adwords help in SEO. You may shun it now – preferring other alternatives like blogging, online networking, or even simple word-of-mouth – but ads are still effective in grabbing an audience’s attention today. Good read. Cheers!